"So, does it taste any good?" 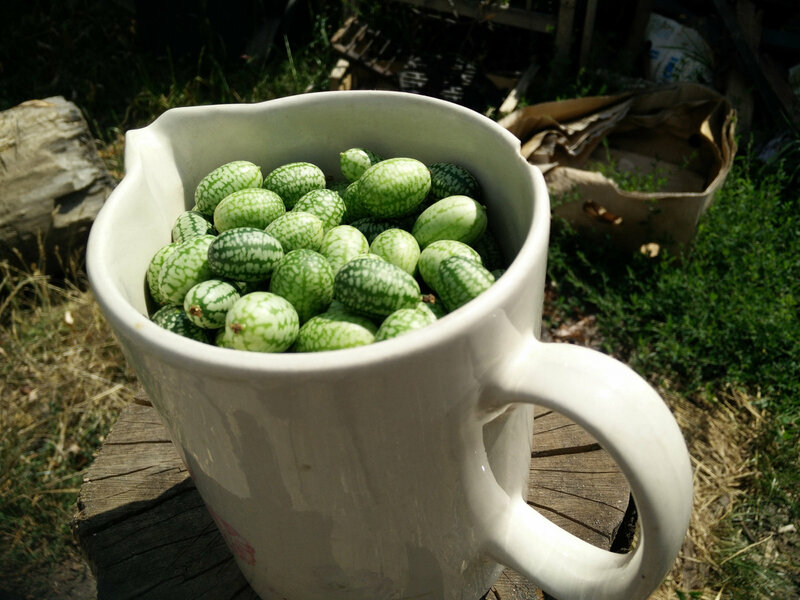 If you never heard of cucamelons, also known as mouse melons, or mexican sour gherkins, you'll be in the same position I was earlier this year when I came across their seeds on eBay. Those vines are applauded in a number of gardening blogs, which you will easily find on Google, as a hardy and tasty addition to the garden. I wanted to try it. 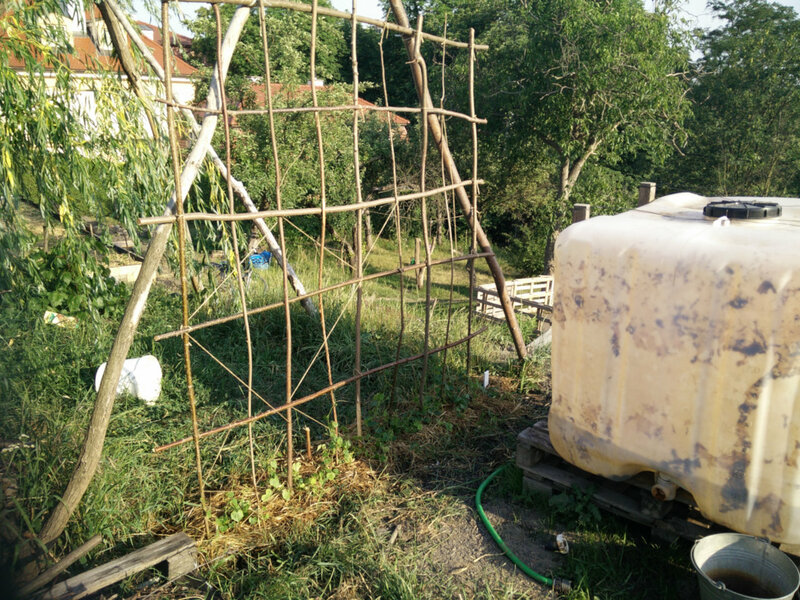 First, I live in an apartment without any garden, so I started looking for community gardens in Prague. Before long I was a member of one such gardening club, quite far away but within a 40-minute bike ride or 30 minutes by the metro. Not too bad. This was March, still plenty of time before I could plant anything. But the seeds arrived, and I was impatient. For the record, I ordered from Premier Seeds Direct, and the seeds arrived and germinated without problems, though it took the parcel two tries to arrive from UK to Czechia, and I then got both packages in the same week. Well, more seeds for free, I guess. As a compensation, I plan to buy from them again next year. The germination time was supposed to be quite long, over 20 days, so I started early just to be sure I don't miss the right time to move them outdoors. As it turned out, the time was a bit exaggerated, and they started showing above the dirt in about two weeks. Slow at first, the seedlings grew bigger and bigger, and in mid April I had to move them to the garden, fearing they could be damaged in transport if I let them grow any bigger. I also pre-planted some pumpkin seeds at the same time, and these needed it even more. We have a sort of greenhouse for this purpose at the garden, made of old windows, protecting the plants from frost to some degree. 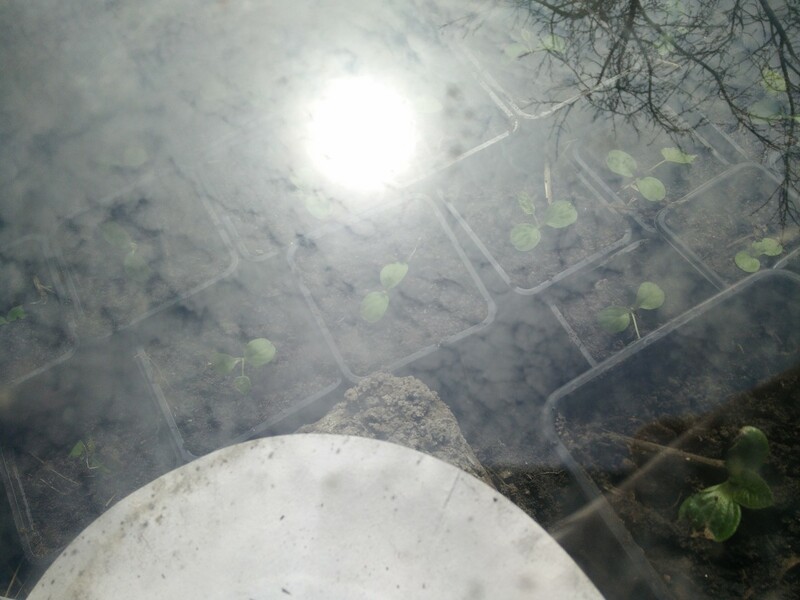 I was really worried about the seedlings freezing, but as it happened no frost came til the second week of May, and I then finally transplanted them into the open. Cucamelons are climbing vines, and if you don't give them good support, they will stay on the ground, making a big tangle. That's not great for harvesting, and they're also closer to hungry slugs and snails who have a real appetite for the fruits. I've built a mesh of sticks and string for them, but the sticks turned out to be too thick for the cucamelon tendrils, so I added more string all over the place. They love climbing on it. Next year I plan to use a proper plastic net instead, that should work much better. 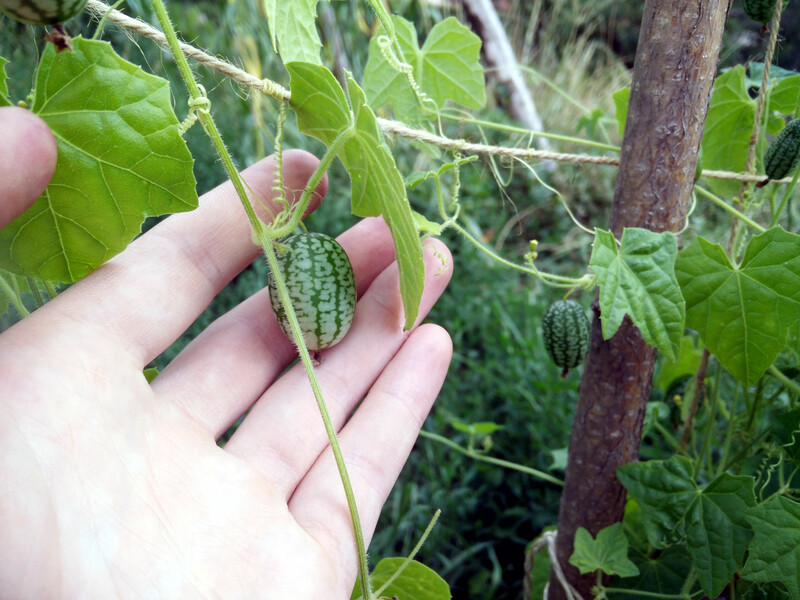 The web sites I studied before ordering the seeds claimed cucamelons to be hardy, heat- and pest-resistant, and growing well without much attention. There is some truth to it, but for them to grow well, they need to be watered at leats twice a week, otherwise the vines just won't grow, and you get no harvest. The spring this year was exceptionally dry and hot, and the water situation at the garden is not the best, so it took them until June to start flowering and producing any fruit. The claim of hardiness is partly true, I didn't get any fungal infection on them, but they are certainly not pest-resistant: at least, if you count slugs and snails as pests. I lost a couple seedlings to some hungry gastropod, which lead to a massive hunt around the garden. They still managed to completely decimate our lettuce field, but I didn't have more problems with them. 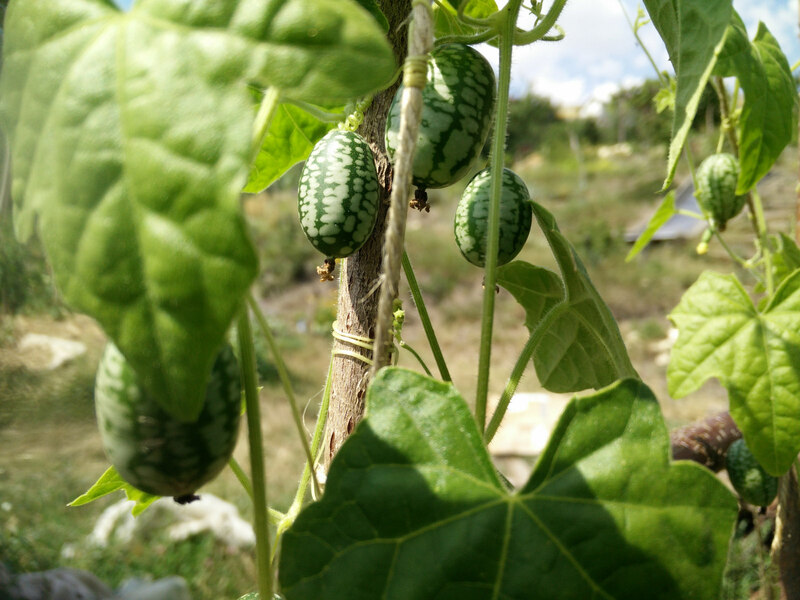 Surprisingly, they leave the more mature cucamelon plants alone. When to harvest the fruit? This sounds easy, but there is no clear indication that a cucamelon is ripe. Despite the name, they don't turn red on the inside, they're more like little cucumbers. The ourside also stays white-green all the way until they drop on the ground, at which point they're over-ripe and not very good. A good rule is to let them hang on the vine until they're about as big as a thumb (about 2.5 cm long, 1.5–2 cm in diameter). But this varies from plant to plant, also how much you water them, how much sunshine they get, etc. I waited with the first bigger harvest until mid July, when the first over-ripe fruits started falling off. This is a good way to tell when some are ripe, but I of course tried eating them from the first time a bigger fruit appeared on the vine, which could be around the start of June. To get any meaningful harvest, make sure you plant as many as you can; one vine can bear maybe 10–15 fruits over the season, if you care for it well and are lucky, but they are tiny. The vines can be planted densely, as close as 15 cm together, despite what some articles about them claim. In my case the growth was in part horizontal, making a sort of bush at the base of the support structure. Some vines bravely climbed higher, but the bulk of the fruit has grown in the bottom half-metre. This could be improved with a the plastic net, or by trimming the side shoots. They taste like a kind of juicy, a little sour gherkin. Some sources describe it as a "hint of lime". I wouldn't go that far, but it's definitely tastier than regular cucumbers. You can eat them whole (well, peeling somethign this tiny would be a challenge anyway). So far I tried putting them in a vegetable salad, and they were great. 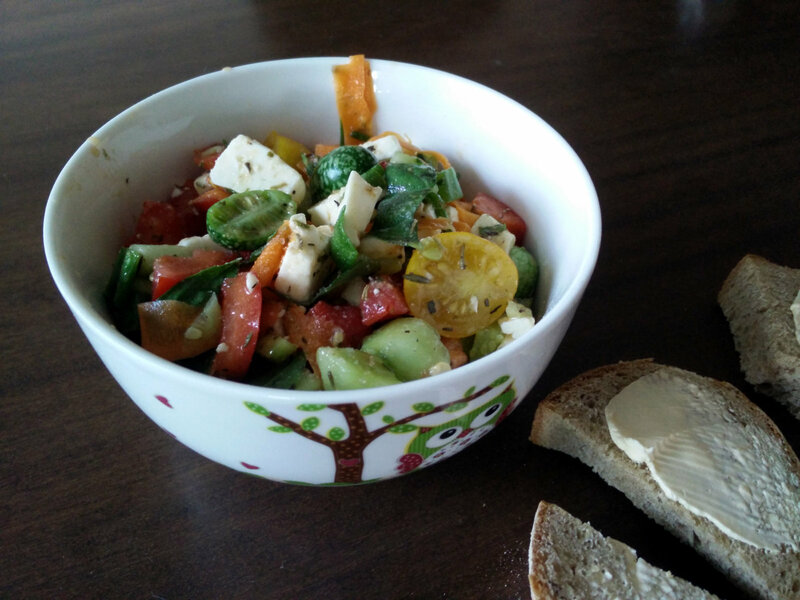 You can naturally just eat them off the vine, or perhaps pickle them. 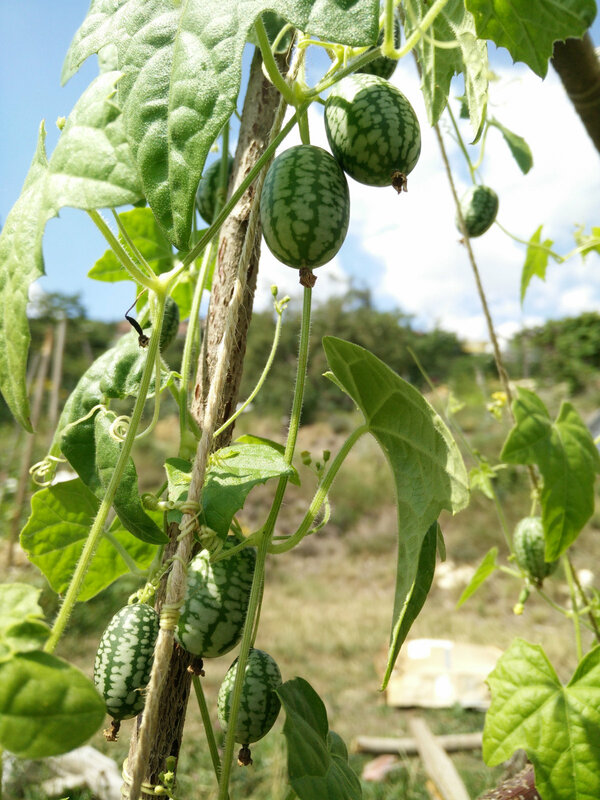 Cucamelon plants are told to easily spread around the garden, probably thanks to animals dining on those fallen fruits. You can also extract seeds from these, for the next season, but with the seeds so cheap, it might not be worth the effort. The plants also, allegedly, produce a thick root in the ground, that is edible and should also grow again next year. I'm yet to find out if there's much truth to this. All in all, this was an interesting experiment and I'm glad I tried it. 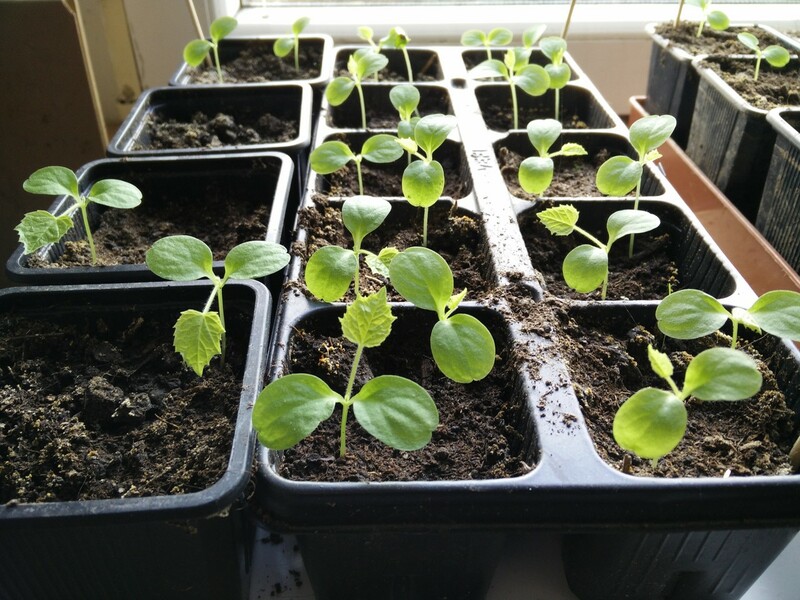 Next year I'll grow them with a more suitable support, and perhaps plant a bit later, so they don't have to sit in the greenshouse so long, waiting for the last frosts. We'll also grow many more of them, maybe over 50. Sharing the harvest from my 14 vines in the community means everyone gets at most a handful at a time. And I want to try pickling them!